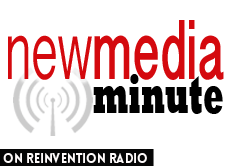 Tune in as the Reinvention Radio crew discuss what to do with all of the new media choices. It’s important to solidify and create relationships so your following will go where you go if and when you bounce over to a new platform. For example,Vine shuts down without warning… how do you get those folks to follow you over to Snapchat, or YouTube… wherever it is you decide to hang your hat next.